What is the correct brushing technique? 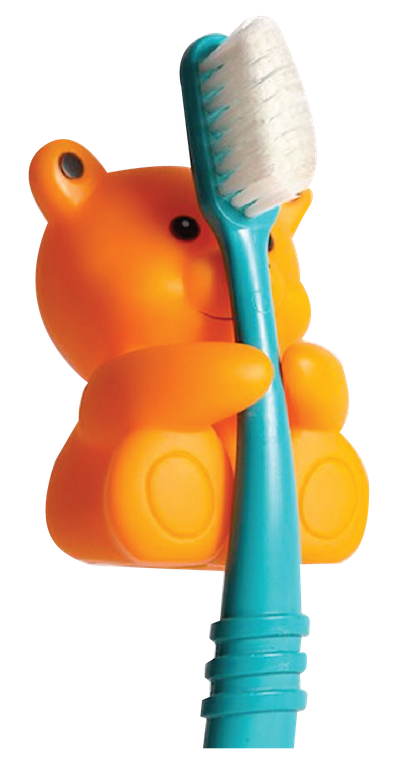 When can a child start brushing his teeth? What should I do when the baby tooth is erupted? Find out the answers. We brush mainly to get rid of the plague. Plague is a thin layer of sticky substance which adheres to the tooth surface. It contains food debris, saliva and numerous bacteria. These bacteria use the fermentable sugar in the food as their food source and produce acids that decay the room. Therefore, the only way to prevent food decay is to completely get rid of the plague of the mouth. 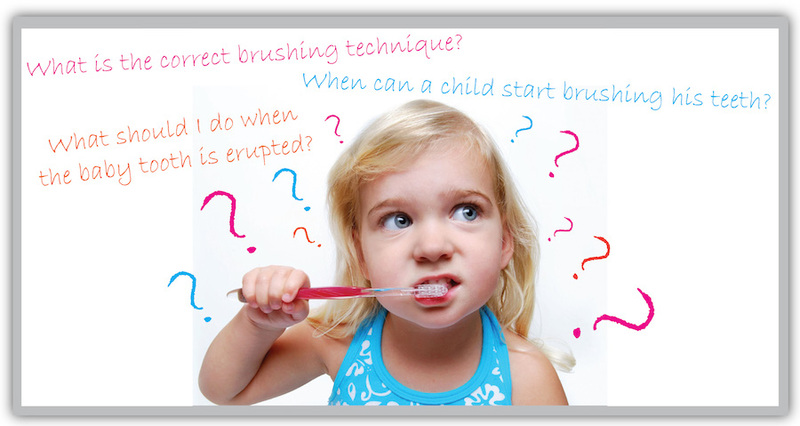 When can a child start brushing? The front baby tooth emerges at the age of six to seven months. This is when a parent can start cleaning his/her baby's tooth by using a cotton bud or a damped cloth to wipe it during the shower. 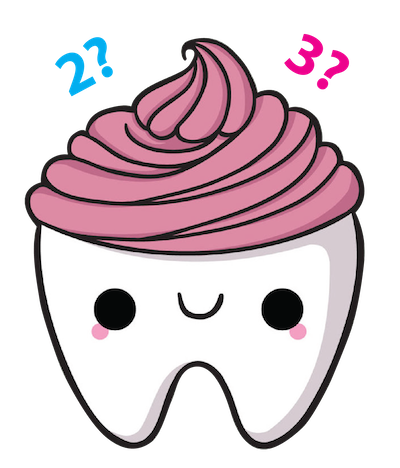 A soft bristle toothbrush can be used when the molar is erupted at the aged of two. The parents should make tooth brushing a fun process so that the children can maintain it as a habit. Parent-aided is needed for the children below six and seven years old to ensure the proper cleaning can be achieved. The parents can start teaching them the correct brushing technique once they are able to grab the toothbrush properly. It is best to brush our tooth after every meal. However, this is not practical when we eat out. Therefore we suggest twice a day- in the morning and before sleep is the most practical way to clean our teeth. For those working people who do not have much time to brush their teeth twice a day, it is wise to brush before sleep instead of early in the morning. Brushing before sleep is more protective because the production of saliva is reduced at night. What is the correct brushing technique? Parents should choose a well-lid place when brushing their kids' teeth. There to four years old students can lie down on parents lap so that the parents can have a better vision during the cleaning process. The brushing pattern can be up and down, or left and right. The pattern does not matter as long as the tooth and gum can be clean effectively. There are thousands types of toothbrush available in the market, but do we choose a suitable toothbrush for our children? First of all, do not choose a toothbrush which the head is too big for the child. 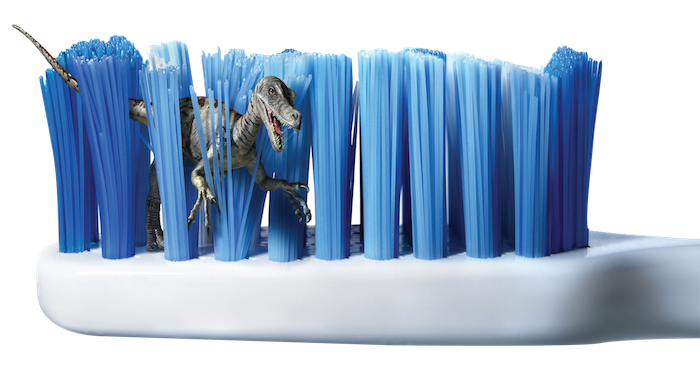 The back teeth cannot be reached if the toothbrush head is too big. Secondly choose a soft bristle toothbrush because the hard bristle can injure the gum and caused bleeding. Is it advisable for children to use toothpaste? Small children do not expel the foam, but swallow it most of the time. Swallowing excess fluoride can cause fluoross, where frosty white patches appear on the tooth surface. It is difficult to overcome the anesthetic problem. Therefore we do not suggest parents to use toothpaste for children under three. Otherwise they can choose non-fluoride toothpaste. For older children, they can use pea-shape amount of toothpaste. Children are not encouraged to use adult toothpaste because it contains high concentration of fluoride. Besides tooth brushing, the habit of flossing should be instilled among children since they are young. Perfect cleaning cannot be achieved without using the floss, as the bristle of toothbrush cannot reach the contact areas between the teeth. Keep the mouthwash out of children, even though mouthwash does help in cleaning the oral cavity, but for children under three, there is a risk that they might swallow the mouthwash instead of spitting it out. A child will definitely have a set of healthy and strong teeth in the future if the oral health is well remained during his/her young age. Correct brushing technique and good oral health care can effectively keep the oral decease at bay. 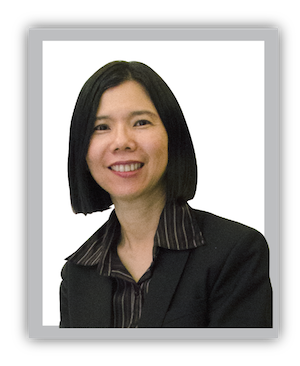 Article written and contributed by Dr. Rebecca Tiew.